As usual we have a 24 hour emergency service over the Christmas period, just call our regular number 9809 0294 and you will be diverted to one of our friendly staff members. Our shop will be closed on the public holidays and open Wednesday 28th, Thursday 29th and Friday 30th December from 9am till 3:30pm. From Tuesday 3rd of January we will resume normal trading hours in the shop. Gift ideas from Buffalo Locksmiths and Security, drop into our shop today! Perfect for pool gates, child care centers, keeping animals safe, anywhere that shutting the gate is important. Watch this short 30 sec video. We are offering GREAT RATES on Alarm Monitoring, Contracts for UNDER $1 a Day anywhere in SYDNEY or the Central Coast CALL ON 02 9809 0294. Alarm monitoring for total peace of mind to protect your most valuable assets. Home or Business, garage, work shop etc. We come and talk to you about what your security requirements are and how we can find a solution to help you feel safe and secure and protect your valuables. With Locksmith experience and knowledge we see were criminals are getting in and what they are targeting. We can advise you on the best security solution to fit in with your budget. Alarm monitoring for under $1 a day is worth talking about, so give our friendly staff a call and book a FREE QUOTE today. Lockwood has released a new advertising campaign around promoting there digital keyless entry range. With better pricing and brand awareness Lockwood touch is leading the charge in the domestic key less market. Lockwood has released a New advertising campaign around promoting there digital key less entry range. With Better pricing and brand awareness Lockwood touch is leading the charge in the domestic key less market. Easter is a time of year when a lot of families go away for the Easter holidays. Here are some brief tips on how to secure your valuables and home before you go away. 1. Place all of your jewellery and precious items in a good quality safe that is bolted down correctly and hidden from view. 2. Lock all windows with key lockable locks. 4. Lock up garages and garden sheds, pack away any ladders that may be used to break into your property. 5. Lock side gates and fences. 6. Have a neighbour or friend take our your bins on bin night and collect mail that may accumulate. 7. If going away for an extended period, organise to have your lawns mowed. 8. Have a light inside placed on a timer to come on at night when you are usually home. 9. Turn on your home alarm and have a fabulous holiday! For a FREE security review of your home, give us a call today! We received a letter in the mail from NSW Police Force- Ryde Local area command. Make sure your not the next victim of crime. Ensure that all windows and doors are locked even if you are only leaving the house for a short time. Call us for a FREE security review of your property. Buffalo Locksmiths stock a range of padlock suitable for school lockers. 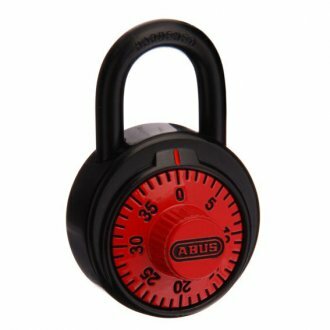 One of our favourite is the Abus combination padlocks. They come in a variety of colours, have a heavy duty solid zinc body, they have a anti picking dial mechanism and a patentened anti shimming feature with a 3 digit code. All for a very reasonable price. Drop in to our store to pick one up today! When renovating a house or unit, some of the things people over look is the door hardware! You would be surprised at how much new door hardware can change the look of a home. You may consider changing from plastic door knobs to a nice satin chrome or from bronze to black, the list goes on. There is a huge range of door furniture available today to fit in with your likes and needs or maybe your after something a little fancy to impress guests or buyers, like a fingerprint lock on your front door. We have a range of door hardware available to look at in store. Just pop in and say Gday! or we can organize a time to come to you.